Truly affordable. Remarkably versatile. With the VersaStudio, we’ve taken everything that makes a Roland printer great and packed it into one powerful, profit-producing package. Award-winning mild solvent inks. Your choice of media. Metallic and white ink options. One device that can print and cut an incredible variety of both indoor and outdoor durable graphics. All from your desktop. In today’s market, there’s a big need for one-offs and short runs. 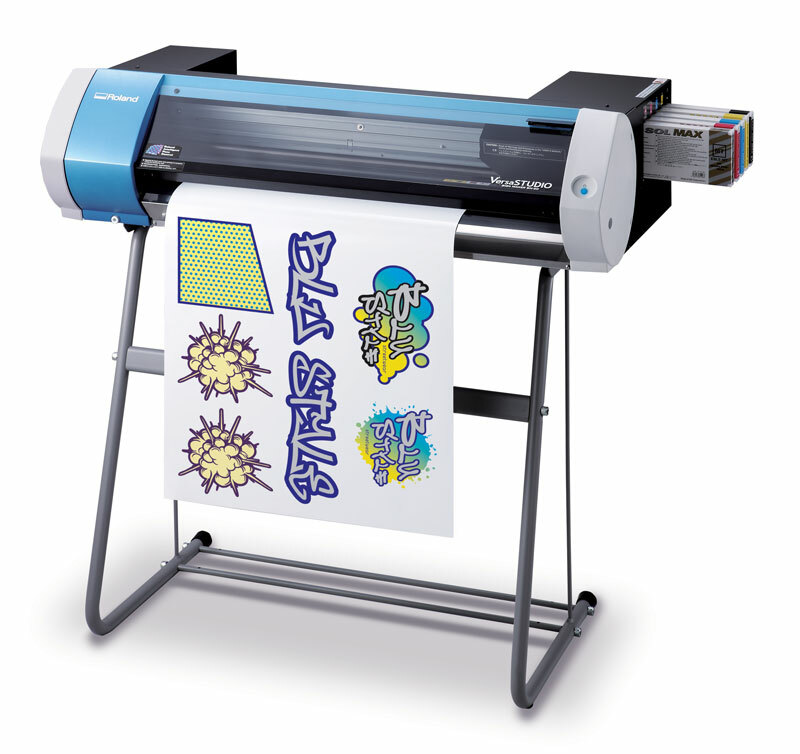 The VersaStudio BN-20 was developed to provide custom print/cut jobs on demand without a large investment in equipment. With its desktop footprint and economical price, it is – dollar for dollar – one of the strongest profit centers available. Contact Russell to find out more, arrange a demonstration or place an order.